The barbute mesh waistcoat is made from 100% Polyester. Velcro front makes this garment easy to take off and put on. 4 small rectangular strips of reflective tape around the waist area. Ideal for working in low light areas and during the winter months. Perfect for working in warehouses and building sites. This item does not conform to any standard. Mainly used for wearer identification purposes. Made from 100% knitted polyester. These fit snugly around the body. The low rise at the hip gives easy pocket access. Deeper arm holes mean getting in and out is hassle free. Finished with Retromax reflective tape. These are available in sizes small to 2XL. This easy to fit liner will add more safety to your work uniform by enhancing your helmet visibility. Safe to use in fire hazard work environments. Flame retardant High visibility tape front and back. Seahawk FR Safety Helmet Cover Hi Vis Yellow conforms to EN Standard EN471:2003/A1:2007 Section 5 and section 6; EN ISO 14116:2008 Index 1/0/0. Lightweight Bump Cap fabric - waterproof, breathable and high levels of ventilation reduces heat stress and improves wearer comfort. 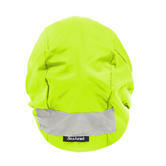 High visibility cap with 360 degree reflective band. Traditional look and appeal, unique full shell design. Scott Safety Bump Cap is designed to maximise comfort and keeps workers visible and dry. Flexible shell design, manufactured from durable ABS plastic. Semi-elastic size adjustment improves the security of the cap on the head. Engineered for top performance in all conditions, the Duraflex® stretch vest harness combines all the benefits of a Duraflex® harness in a highly comfortable and practical high-visibility vest. Teflon treated, extra shoulder padding, easy-fit front zipper with multiple well-positioned pockets and lateral loops and multiple fit adjustments for a perfect fit summer and winter. Honeywell Miller Hi-Vis Vest Harness 1010326 conforms to: EN 361, EN 471. safety standards. These gloves were developed especially for the ambulance service. With excellent flexibility, the inner surface of the gloves provide an extremely secure grip. The inner surface provides a secure grip. Microfiber with silicone grip palm. Elastic spandex with reflective inserts. Cut Safe and comfortable glove. Neoprene wrist with strap closure. Wenaas W112 Ambulance Rescue Safety Glove conform to EN 420, EN 471 and EN 388 3.5.2.2 safety standards. Available in Size 11 only. Gloves developed especially for ambulance service. Very good flexibility and Comfortable fit. In Hi-Vis Yellow and Reflective Bands, to ensure even more visibility in work environment. Elastic spandex material with reflective tape in upper hand. The surface inside of the gloves provides secure grip. Suitable for wet, dry and cold situations where a good grip is required. 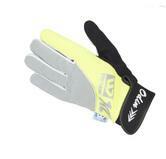 Wenaas Grey-Hi Vis Yellow Glove W112 Grip+ 6-6320 conforms to: EN 420 EN 388 3.X.1.1. standards. Specialized protection for working the wellhead or processes downstream. Uniquely designed for Oil and Gas operations, with the famous fit & flexibility. TPR Impact Protection on Top of Hand and Full Length of Fingers. High-performance protective gloves for Fire & Rescue, Law Enforcement, and Mechanics of all kinds. 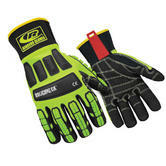 Ringers Gloves Roughneck KevLoc Puncture Resistance Gloves conforms to: EN 388 4.3.4.3 safety gloves standards. When your hands are your stock and trade, it just makes sense to invest in them. 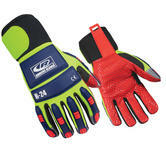 Stick your hands in these Ringers Men's High Visibility 247 Puncture-Resistant Tacky Grip Work Gloves, and start keeping your hands safe. Extended neoprene cuff with TPR wrist bone impact protection. Full dorsal 3mm impact absorbing foam layer. 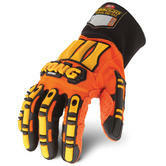 Ringers Gloves - R-24 Heavy Duty Gloves complies to EN388 4.1.2.1 and EN420 standards. The original Impact glove brand, giving over 70% impact protection. 3-D Thermoplastic Rubber Ribs designed to absorb and dissipate impacts to the back of the hand. Foam rubber patting placed between fabric layers provides added protection and flexibility. 3-D Thermoplastic Rubber Finger Ribs provide extra protection while offering flexibility. Impregnated PVC dots adhere to the palm of the glove to enhance overall grip. Raised PVC dots extend the life of the glove by absorbing wear away from the palm fabric. I.D tag for employee name. Neoprene Cuff provides added wrist and forearm protection. Bright orange colouring and yellow ribs helps to track hand placement. A second layer of long wearing Teflon coated synthetic leather material in the palm. Reinforced cross stitching to reduce friction caused by multiple layers of fabric rubbing together. KONG® Metacarpal Protection - 80% impact absorption. KONG® Knuckle Protection - 90% impact absorption. KONG® Patent Pending Finger Protection - 76.4% impact absorption offers sidewall and complete fingertip protection. 100% Machine Washable: Hang dry. BEST USES: Oil & Gas Drilling, Extraction & Refining, Fracking, Tool Pushing, Mining, Demolition, Heavy Construction, Rigging. Ironclad KONG Original Oil & Gas Industry Impact Hi-Vis Gloves Conforms to EN388 4.1.3.2. Safety Standards. Durable TP-X® palm has the highest-level abrasion resistance while maintaining oil-resistant grip. Synthetic palm with unique stitching pattern offers comfort and dexterity. Full Impact Exoskeleton™ with high-performance IR-X® smash guards offers greater impact protection. Additional IR-X® guard between thumb and index finger gives secure common pinch and catch points. Reinforced index finger and thumb crotch lengthens glove life. Exterior seams implement a double stitched core-spun thread, adds further durability and longevity. SlipFit® cuff adds comfort and convenience. Hi-vis colour scheme increases visual awareness in low light areas. Polyco HEX2021 HexArmor Rig Lizard Impact & Puncture Protection Glove conform to standard: EN 388 4.2.4.3 safety standards. The original Sam Browne style safety belt sash and waistband. Yellow crystalline reflective High Visibility tape mounted on a robust nylon webbing strap. The yellow ensures you are visible by day, and the reflective material makes it easier for drivers to spot you at night. The oversized black, reinforced plastic buckle is easy to use with gloves. With 2 fully adjustable sliders to ensure that one belt size can be adjusted to fit all sizes . As used by cyclists, motorcyclists, pedestrians and joggers. Complieswith EN13356 for PPE. This is a high visibility reflective belt. It is designed to make the wearer more visible to motorists, especially in twilight or dusk in the face of oncoming lights. Classic winter cap in Hi-Vis yellow colour. Practical high visibility hat when you want to have extra protection against sun, wind and rain, with ear flaps that can be folded down when it gets cold. Fleece lined windproof hat are windproof, Polyester outer will protect from rainy days. This revolutionary Portwest Glowtex™ Triple Technology Vest uses the latest innovation in light emitting technology, ensuring the wearer achieves the highest level of protection. 3. Light emitting Glowtex phosphorescence tape which accumulates its charge when exposed to the light and emits a bright glow in very low or no light conditions. Glows up to 6 hours once illuminated for 30 minutes. Our promotion packs for those, who is caring about safety and visibility. You will get a pair of Hi-Vis leather gloves and one of most popular Hi-Vis vest, and to show you the way in the dark places you will use the highest quality Waterproof Headlamp "Petzl E69P". 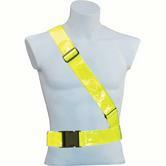 Very popular 2 band & brace High Visibility vest. It is very comfortable and suitable for numerous applications, which require a high visibility, such as traffic and security. 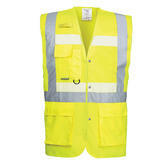 This vest complies with EN471 Hi-Vis standard. Waterproof to 5 meters underwater - Petzl E69P headlamp. The E69P DUO LED 5 headlamp is an ideal choice for all weather activities. The hybrid light source can be directed to change from: long-range, focusable or choose LED for long-duration lighting. Adjustable and comfortable elastic headband, space for spare halogen bulb in the headlamp body. 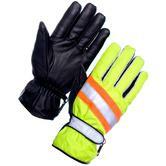 High visibility gloves made from A-grade, oil and water resistant ox leather. These gloves are fully lined, and are reinforced on the index finger. With a thickness of 1.1 - 1.2 mm, these are a strong and durable glove ideal for road, crane, or asphalt work. 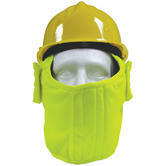 JSP Yellow Thermal Helmet Warmer along with a standard Black Thermal Helmet Warmer. For comfort and warmth - full head and face comforter, easily attached to the helmet. High visibility yellow Conforms to EN Standard EN471. 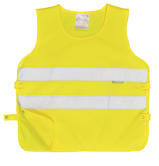 Kids high visibility safety tabard easy to wear over any outfit. Super Vision Gloves from SuperTouch offer optimum comfort combined with great grip and dexterity. 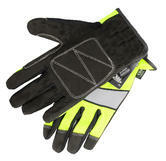 Hi Vis gloves with a soft leather palm and a Thinsulate liner. Perfect for any tasks with an enhanced visibility requirement. Waistcoat made using 100% Knitted Polyester with Hook & Loop fastener. Added visibility with Retromax reflective tape. These Leo Workwear Single Colour Reflective Waistcoats are sold for wearer identification purposes, they do not meet ISO 20471. Leo Workwear Leo Workwear Single Colour Waistcoat trim colour – Grey. These Leo Workwear Dual Colour Reflective Waistcoats are sold for wearer identification purposes, they do not meet ISO 20471. Portwest FR93 Bizflame Ultra Men FR Hi Vis Coverall Independently certified to five international safety standards, the Bizflame Ultra coverall is built for the best professionals in the sector. The special FR polyester in the fabric ensures maximum longevity in the toughest environments. The generous fit combined with the soft touch fabric provides outstanding all day comfort. 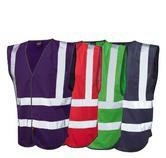 High Visibility vest easy with diagonal reflective tapes in four different colours, is fully CE compliant, size range from age 3 to 11+. Excellent visibility provided by bright colours and Retromax reflective tapes. Leo Workwear CW01 Neonstars Hi Vis Waistcoat conforms to: EN 1150 standards. Practical trousers with generous fit and flexible material ensure great protection against wind and rain, plus great visibility thanks to the generous reflective tapes. Extremely water resistant fabric finish, water beads away from fabric surface. Portwest S481 Men Rain Over Trousers conforms to: EN 343 Class 3:1. The Ansell ProjeX 97-510 spandex glove has a retro-reflective band covering the knuckle area. Bright yellow colour gloves for visibility in dark or dim work environments. Ansell ProjeX 97-510 is made of breathable spandex for coolness with a terrycloth liner for sweat absorption. Synthetic leather palm and fingers with reinforced thumb crotch for extra support. The glove is suitable for use in low-visibility environments. Ansell ProjeX 97-510 Hi-Vis safety gloves conforms to: EN 388 - 3.2.2.1 hand protection standards. This work bib and brace offers comfort, safety and functionality. ith its quality finish, generous fit and suitable for embroidery and customization, this garment is an excellent choice for corporate uniforms. Fabric: 65% Polyester 35% Cotton 245 g/m². Durable polyester-cotton fabric for high performance and maximum wearer comfort.